[MUSIC] Welcome to Seattle. [MUSIC] Historic Pioneer Square used to be one of the cities forgotten neighborhoods, but now it's one of the hottest thanks to a handful of visionary entrepeneurs. 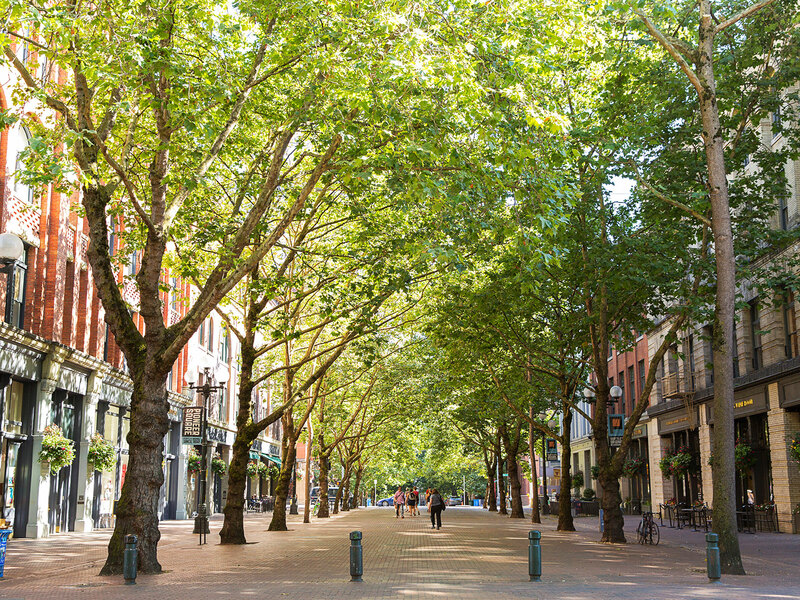 Pioneer Square is a developing neighborhood. There's been a ton of great restaurants opened up here, tons of businesses, great bars have opened up in the past five years. It's just a completely different place, in a good way. The neighborhood has gone through a renewal and is now home to some of the best food and shopping on the west coast. Pioneer Square has a really interesting mix of businesses. And we're all within a community with each other, creating an experience broadly for all of our customers. It's a neighborhood. It really, it's got a small-town feel. Everyone here's a creator of some sort of item or idea. [MUSIC] And its great is Seattle to have that. This is the new creative center of Seattle.